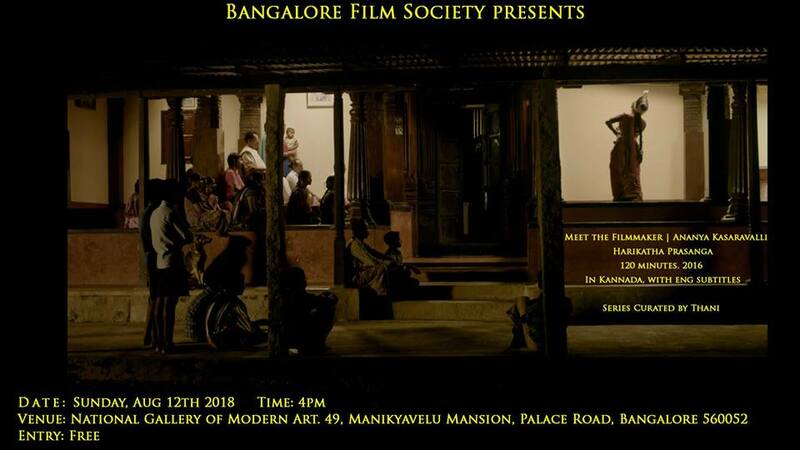 Join us for a new film series, a screening of Ananya Kasaravalli’s ‘Harikatha Prasanga’ on 12th August, 2018 at 4.00 PM at NGMA Bengaluru. And a post-screening interaction with Ananya Kasaravalli , with the lead actor Shrunga BV, music director Bindumalini Narayanaswamy and co-writer Gopalkrishna Pai. And asleep during the daytime. And a man during sleep. Slowly, the fence between days and nights falls off in his mind. ‘Harikatha Prasanga’ (Chronicles of Hari) tells the story of an actor renowned for performing female roles. Told through four interviews, the film touches on a strained relationship with his brother, a failed marriage, his artistic struggles, and his final decision to adopt a woman’s persona completely. 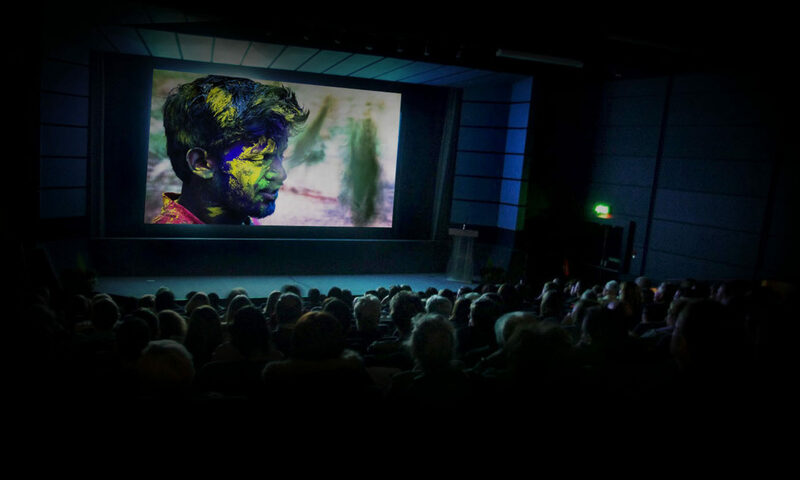 ‘Harikatha Prasanga’ has traveled to over 40 film festivals, including Busan (South Korea), Mami (Mumbai), Kaleidoscope Museum of Moving Image (NY), Singapore South Asian FF, Toronto Indian FF. Ananya Kasaravalli was born into a family of filmmakers; Ananya Kasaravalli had a successful career as an actor for films, TV, & stage before going to film school. An alumni of Chennai’s LV Prasad Film & TV Academy, Ananya Kasaravalli has won awards for her Short film ‘Wasiyat Nama’, and for her documentaries on transfeminity, ‘Beyond Binary’ & ‘Kappu Kallina Shaitan’. ‘Harikatha Prasanga’ is her debut feature. A Bangalore Film Society alumni, Thani Mudaliar is a screenwriter who has co-written Anurag Kashyap’s Bombay Velvet (2015). Thani teaches filmmaking in Bangalore, and reviews films. Entry free, on a first come first serve basis. Palace Road, Bangalore 5600 52.